Downtown Bloomington around lunchtime on a recent weekday. But there are few pedestrians. A lone downtown worker eats a sandwich at a table in the courtyard outside the Law and Justice Center. 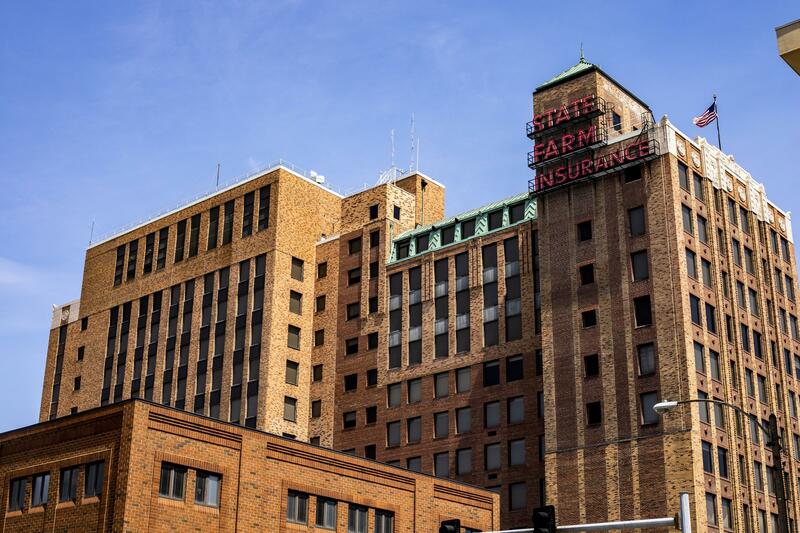 The closing of State Farm’s office building on East Street has hit downtown hard. The towering brick building topped by the company name in red lights was State Farm’s original headquarters. It remained a downtown anchor for 89 years. Once 900 people worked there. The last of the building’s 150 employees moved out in February. 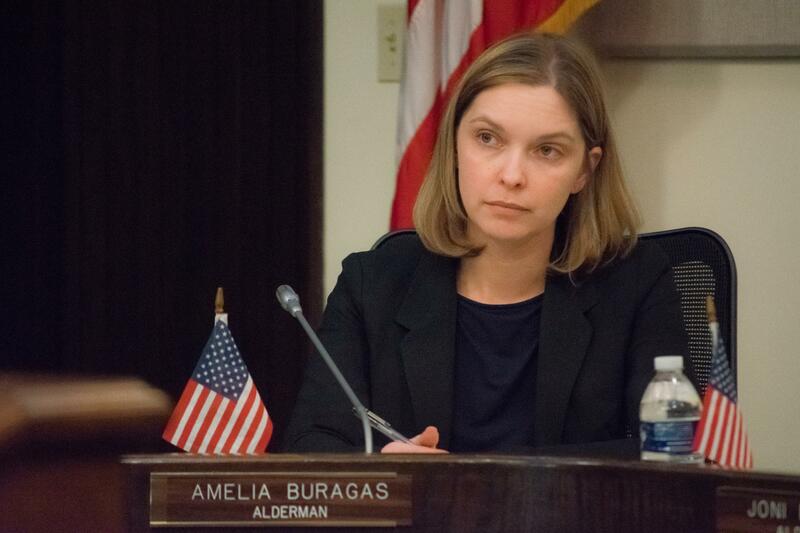 Bloomington Alderman Amelia Buragas represents the downtown area. “We have vacant buildings in the downtown area, and we have more vacant buildings today than we had 10 years ago, and that is a problem. It’s a problem without an easy solution," Buragas said. 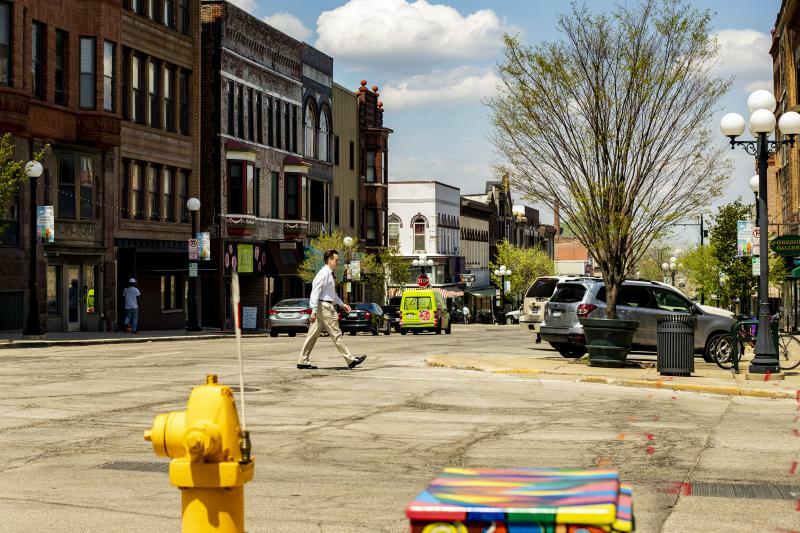 For nearly a decade, city officials have debated how to best revitalize downtown. There have been two major studies, but Buragas says little action. “I was just reviewing some media coverage from eight years ago and found an article talking about the need to come up with a plan for the Market Street garage, which was reaching the end of its useful life span. Eight years later we still have no plan," Buragas said. Buragas chaired the Downtown Bloomington Task Force. She says State Farm’s exit serves as a wake-up call. It joins three other major downtown landmarks now empty: The Front N Center building, the CII East Building, and the old Pantagraph headquarters. “This is not a time period when we have the luxury of doing nothing or hoping it will work itself out," Buragas said. Business owners have been feeling the effects of those empty buildings for some time, and the loss of State Farm only worsens the situation. “The restaurants, the eateries, the places to take a coffee break—those folks are feeling it immediately," said Tricia Stiller, executive director of the Downtown Bloomington Association, an office that represents business owners and last year became part of city government. "But we have been resilient and we have survived many, many times over, and I am confident we will be able to do that again," Stiller said. Kelly’s Bakery on Center Street, a popular lunch spot. Business owners remain concerned. 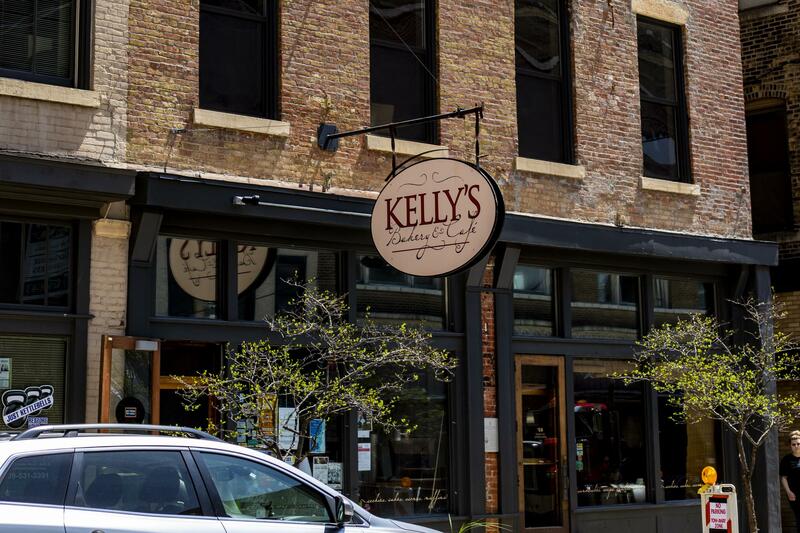 Kelly Mathy owns Kelly’s Bakery on Center Street, a popular lunch spot. She said there used to be a daily line of customers out the door at lunchtime. Mathy said she expects her restaurant to weather the downturn by diversifying its offerings. Butch Thompson has owned restaurants downtown since the early 1980s. His Reality Bites restaurant used to be open for lunch and dinner five days a week. It’s still open nights, but is closed for lunch now on Tuesdays and Wednesdays. Butch Thompson owns several businesses downtown, including Elroy's. “Part of that is because of the people who left State Farm and part of it is because we’re four blocks from where most of the workers are instead of one block. Three or four blocks extra during rain or winter makes a difference," Thompson said. "Even when State Farm had only a few hundred people, if you got 5 percent of them, that was 20, 30 people a day." he added. 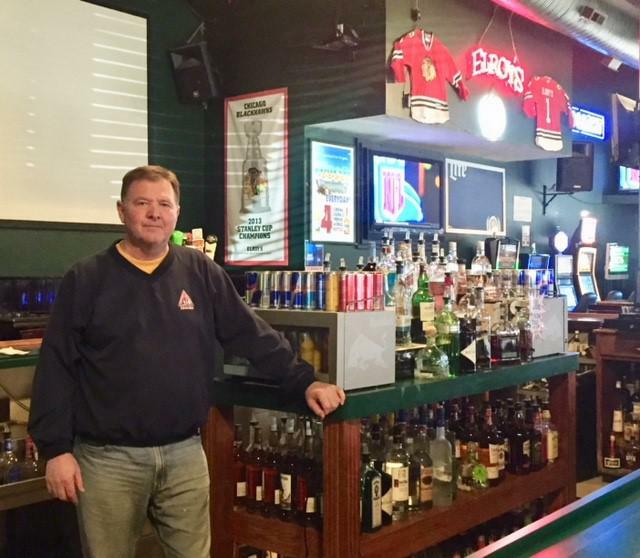 Thompson, who also owns Elroy’s and Daddio’s and the Reality on Monroe event space, said his overall level of sales has remained fairly constant over the nearly 35 years he’s been a downtown business owner. He remains frustrated that downtown hasn’t changed more. “For the most part it’s not that much different than it was a long, long time ago," he said. "And I don’t have the answer why. Is it a mayor thing or is it council, who is at fault? Everyone talks about we don’t have enough money to do this or that." McLean County Board member Carlo Robustelli, a member of the Downtown Bloomington Task Force, stands at the corner at Front and Center streets looking up at a handsome multi-story building that has been vacant for year. It’s the Front N Center building. It stands just a few blocks from the old State Farm offices and also near the McLean County Museum of History. McLean County Board member Carlo Robustelli. One problem, though, is that the Front N Center building, like the State Farm office and the other vacant buildings downtown, is privately owned. The city has to work with those owners on what happens to those buildings next. “That is something as a community we are going to have to have a serious discussion about. 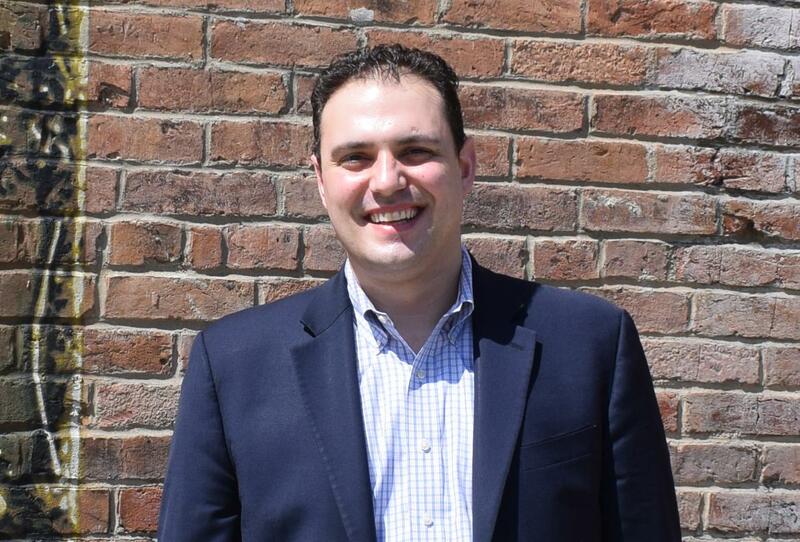 What are the kinds of opportunities that exist, whether it’s a partnership with a nonprofit or it’s a partnership with for-profit that would provide a catalyzing project to increase the number of customers downtown," Robustelli said. 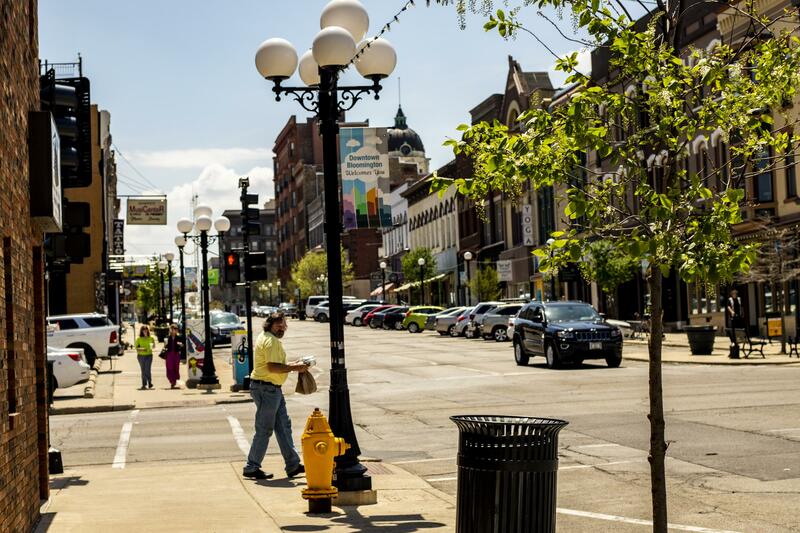 The city’s most recent downtown revitalization plan recommends a multi-pronged approach. It calls for upgrading public spaces; adding green space by planting more trees, flowers and native shrubs; including more public art; improving street parking; and making the streets generally more attractive to pedestrians by adding decorative crosswalks and more attractive night lighting. 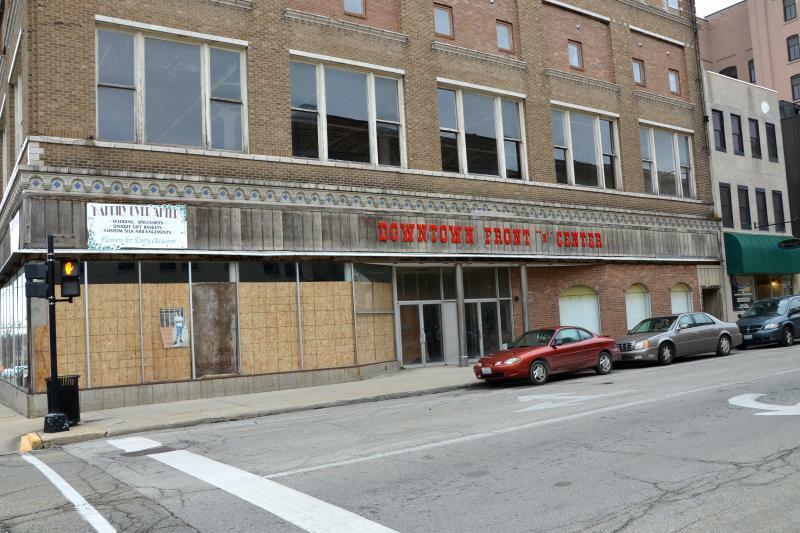 Both city officials and business owners agree one thing downtown Bloomington already has is an ample supply of residential housing units, many of them redeveloped in recent years. The biggest challenge remains finding what planners call "catalyst" projects, which would bring more people who don’t live downtown into the area on a regular basis. Task force chair Amelia Buragas said finding the right fit is tricky. “Can a hotel be a catalyst project? Maybe. It depends on the hotel, depends on its size, depends on its market. I think if you would ask most people about the Coliseum, they would say it was intended to be a catalyst, but it doesn’t meet the definition. It doesn’t bring people downtown on a daily basis," she said. Other options include converting some of the vacant buildings into a hotel/convention center, or a multi-use facility that might include a community center, some private housing, offices and retail space. The city has also considered knocking down the Market Street parking deck, which is aging and needs repair, and replacing it with one of these projects. “When it comes to revitalization we have the smaller projects that can still have a big impact, and we have the larger projects that are more complicated and can be more costly," Buragas said. Revitalization efforts can be characterized so far mainly by what has not worked out. A proposal to locate a new public library within the downtown area appears stalled and a proposal to place the new YMCA building there floundered. “If we’re not going to talk about those possibilities that have been out there, we have to got to have alternatives. And it can’t just be, 'I don’t like that idea, I hope we find a better one.’ We have to put concrete solutions and suggestions on the table so we can start vetting them and figuring how to make them a reality," Buragas said. Kelly Mathy of Kelly’s Bakery said one thing many business owners don’t want to change is the local character of downtown. “It’s very challenging in a community like Bloomington where it’s this influx of all of these bix box (stores). We are getting Five Guys and people say, ‘I wish Five Guys would come downtown.’ And I’m like, downtown has got the benefit of very few box stores. It’s mostly locally owned businesses and a lot of people who are doing different things for the community and offering unique opportunities," she said. "I prefer it to be grass roots and loca," said Ken Myszka, who owns the Epiphany Farms and Anju Above restaurants on Front Street. "I don’t want to see developers from Chicago or St. Louis come in and develop the building next to me. I want to see us do it," Myszka said. Ken Myszka from Epiphany Farms plans to open a new restaurant in the coming weeks in the 500 block of Main Street at a site where he currently does the baking for his other two restaurants. Myszka is bullish on downtown. He plans to open a new restaurant in the coming weeks in the 500 block of Main Street at a site where he currently does the baking for his other two restaurants. “My team is there from 7 a.m. to 3 p.m. and we always thought it would awesome to let the bakery turn into a restaurant at night," Myszka said. Myszka’s new restaurant, the Bakery and Pickle Bar, will have a speakeasy theme, feature locally crafted spirits, a raw oyster bar and pickle bar, and gin-based drinks. He said the real estate prices remain attractive for business owners. “I’ve looked at properties in Normal. It’s like at $22 a square foot. I can’t as small business owner come close to affording that. But in downtown Bloomington, you can find deals for $7 $12, $11, $10 a square foot. I see immense opportunity in that," he said. 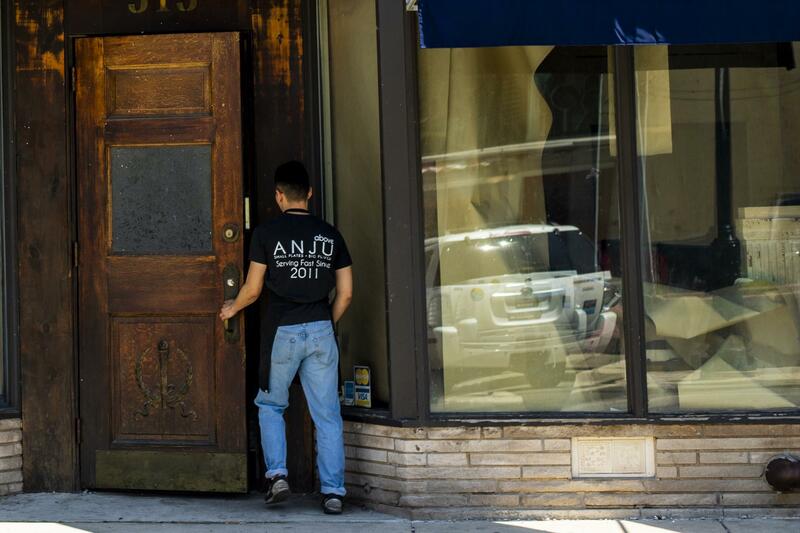 Myszka isn't the only restauranteur considering expanding in downtown. Jesus and Norma Ortiz, who own Tony's Tacos in Normal, said they want to open a similar restaurant at in the 100 block of Front Street. They are awaiting approval for a liquor license. Vickie Tilton, who owns the Fox and Hounds hair salon and its building on Monroe and Center streets, said she too is in downtown to stay. 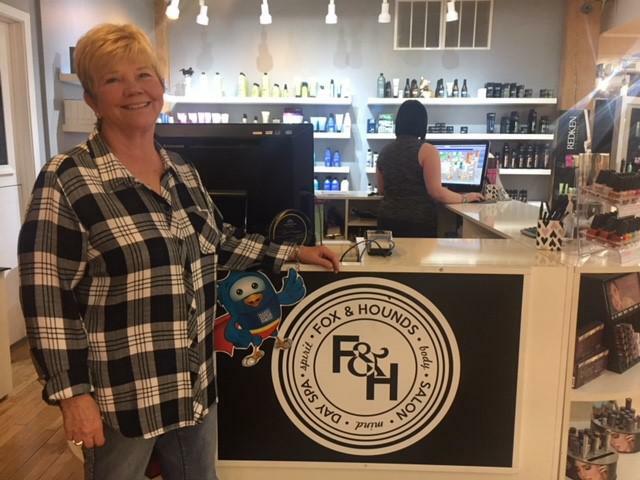 Vickie Tilton owns the Fox and Hounds hair salon and its building on Monroe and Center streets. She said she aims to run her salon like the bar from "Cheers," where everybody knows your name. “Consequently, our business stays flat in bad times but we don’t tend to lose our business," Tilton said. She acknowledges recent developments are troubling, but sees in them opportunities. “We have a different city council with a different mindset about downtown, and we feel comfortable that they have good vision and direction and are working together." Still she adds, "There are still a few that don’t get it." Common Ground Grocery seems to model the kind of locally owned, locally grown business many city officials—and owners like Tilton—say they want to see downtown. The shop that sells organically grown produce, vegan and fair trade products has been a fixture on Main Street for four decades. Owner Lua Travis said the store lost some walk-in lunchtime business when State Farm employees left, but Travis credits the store’s longevity to a loyal customer base. “It’s all about the customers. We have some who have been shopping here for the whole 40 years we’ve been here. They like coming to us. We are very personal with our customers." At 3:30 one recent afternoon, a steady stream of customers entered the store to look for items ranging from water filters to homemade soup to espresso spice. Peggy Flynn said she drives across Bloomington to shop there. “Just because I’ve been coming here since it opened and I love it," she said. Tricia Stiller, the head of the downtown association, said part of the problem is that too many people still don’t give downtown a chance. Tricia Stiller said additional proposals are under consideration, including for the State Farm building. Stiller said the public will already see some changes. Several murals adorn some of the downtown buildings and traffic boxes. Plans are underway to add greenery to the corner of Mulberry and Main, currently a desert of asphalt and concrete desert. Last month, the McLean County Board approved plans to remove dying trees and shrubs in the Law and Justice Center courtyard and replace them with new plants and flowers. Stiller said additional proposals are under consideration, including for the State Farm building. One thing the government officials have yet to discuss in detail is now much proposed beautification projects will cost. Robert Mahrt, Bloomington’s director of community development, said the city is working on those estimates now. Discussions are likely to go on through the next budget cycle, and pressure to cut costs remains. Buragas and Robustelli insist there will be a cost to the city’s tax base by simply doing nothing. “No downtown, including uptown Normal, is built. We are constantly building them," Robustelli said. Robustelli points out the city has a vision, and even a roadmap. What it now needs is the will to put those plans into action. Listen to an excerpt of GLT's downtown story.